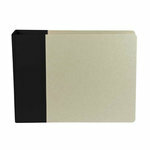 Customize the look and feel of your album and make it uniquely yours using this American Craft 12" x 12" D-Ring Binder. 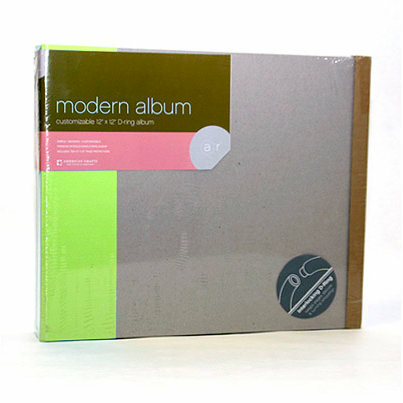 With this lovely Green Modern Album you can create a work of art by adding inks, patterned papers, stamping, embossing, ribbon, paint and more. The decorating options are endless! 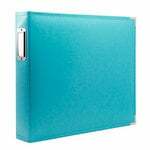 While keeping my eye out for something green this past St. Patrick's Day, I happened upon this binder by American Crafts. First of all, I love anything made by American Crafts & secondly, I really love this binder!...The main reason that I seem to love it, is because of all the pages that it can hold! I love this book. 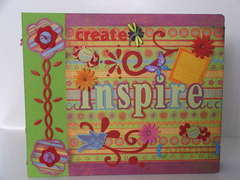 I am new to scrapping, but I love this kind of book thus far.. The d-rings are so much easier to work with in my opinion. There is plenty of room, for me anyway, in these to add pages.. I love it.. Very sturdy too! 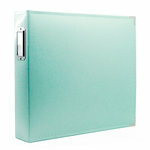 I have this binder in this color and a few other colors and love them! I love the large D rings and the pop of color on the end and I can decorate the front however i want! Love this! Like a D-Ring, but this is not sturdy enough. The covers are rather flimsy chipboard, easily damaged. Thought it was a bargain, but you get what you pay for. My next ones will still be AC but a sturdier cover. 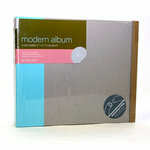 These are good albums and it allows me to get all the grandkids the same album, but with individual colors. They are reasonably priced also. I switched from strap-hinge to these D-ring binders. I thought I would hate the 'gap' between the pages on 2 page layouts. Not at all. These albums are sturdy, fun and allow me to not worry about not scrapping chronologically. Oh yeah-GREAT colors too! I like how affordable this line is but they are a little on the wide side making them stick off the edge of my bookshelf. Finally Found the 3-Ring Binders Again! 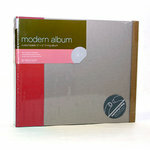 I have never been a big fan of the post bound albums, but the 3-ring albums disappeared long ago. Finally they are making a comeback! I'm slowly switching all my albums over to these, so I'll be back! Love that I can design the covers as I want to. Not sure about the canvas color strip. I may find a way to "seal" it so it doesn't get dirty from handling over time. Album seems sturdy & arrived in perfect condition. I've had no problems with any of your products! See you soon! 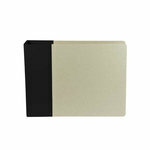 In a world of truly expensive 3 ring binders, American Crafts provides a good priced album with a hint of color - green, red, etc. Since I have a LOT of albums, price is important, but more importantly, this binder is sturdy! The title "Customizable" is SO true! 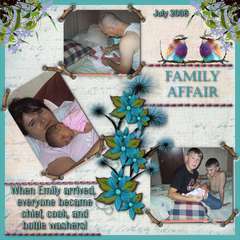 I can embellish the cover to fit the theme of the album rather than having a boring album owned by so many other people. Love it! I always get a few when they're on sale. I LOVE THESE ALBUMS. I USE THEM TO HOLD MY SCRAPBOOK PAGE PROJECTS IN PROGRESS. I PUT TOGETHER LITTLE KITS SO THAT I CAN GRAB AN ALBUM WHEN I AM HEADING OFF TO A CROP. EVERYTHING IS ALL TOGETHER & READY FOR ME TO CROP.